The Mallory Major campaign, named after its architect, Major Mallory, aimed at the destruction of all bridges and pontoons across the Po River and its tributaries. The operation began on the morning of 12 July 1944. The Government Army soldiers were forbidden to mail letters home for six weeks due to security reasons. Surveillance was strict. The Protectirate Government Army (Regierungstruppe) was composed of about 7,000 men and 200 officers of Czech ethnicity. (4) The Czechs would be used for guard duties: the Po River bridges, railways and airports (the Po Valley is the same as Continental, northern Italy, north of the northern Apennine range). Here, together with German female helpers and German and Italian Flak (the German Anti-aircraft Defences) soldiers, they would be massacred by the American Mallory Major bombing operation. The Piacenza air raid siren was sounded every night, so that, in the end, people gave up fleeding to the cellars and stayed in bed (testimony by Ms Anna Molinari). In the early morning of Wednesday 12 July, Italian soldiers from the Farnese Palace depot company, and local workes, joined the local bridges by a stream tram which in the Piacenza ‘dialect’ was known as ‘ìl gamba ‘d légn’ (wood leg) or as ‘’l bò negàr’ (the black ox). The bridges were guarded by German soldiers and by members of the 3rd Czech Battalion. 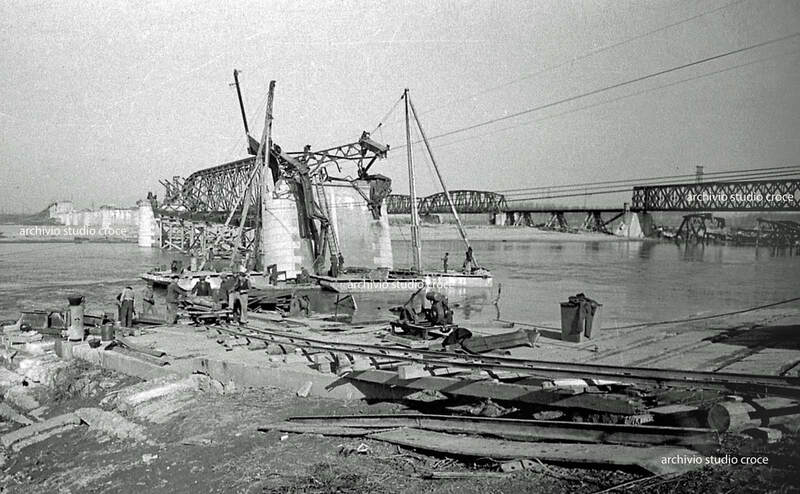 At 7:30 a.m., the Italian soldiers and workers and the OT were reparing a bombed communication route next to the bridges, when the German anti-aircraft position gave the alarm. 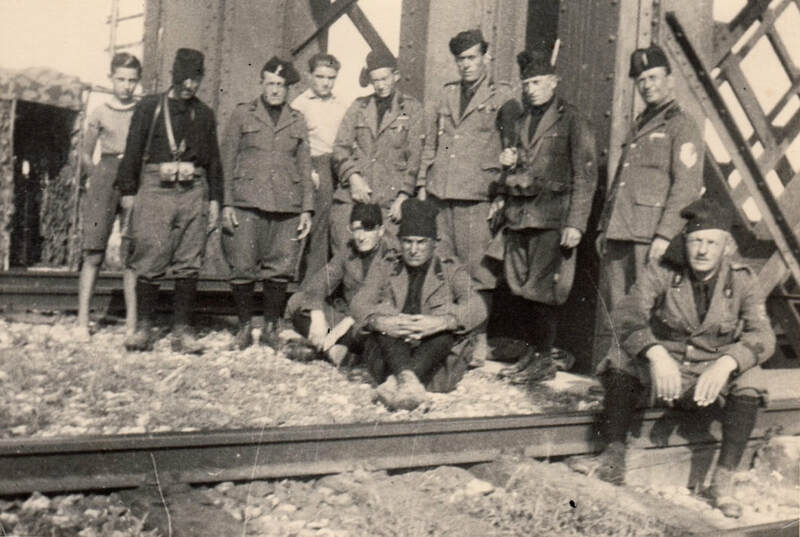 (5) The Italians fled the bridges, so did the Czechs and German soldiers. (6) Then, as private Ferdinando Arisi would later witness, they all heard an ‘idescribable roar’, and while the ears of the survivors were aching, the pressure wave had bent the branches of the trees. A second, worse, attack came soon afterwards. After the two bombings, while the survivors were congratulating each other, the American airplanes came back and machine-gunned them. Just a few minutes afterwards, at 10:18 a.m., the Sermide pontoon was attacked as well. This raid was conducted by other US units (445th, 446th, 447th and 448th Squadrons from the American 12th Air Force). Subsequently, at 10.27 a.m., the same units bombed the Ostiglia-Revere bridges too. 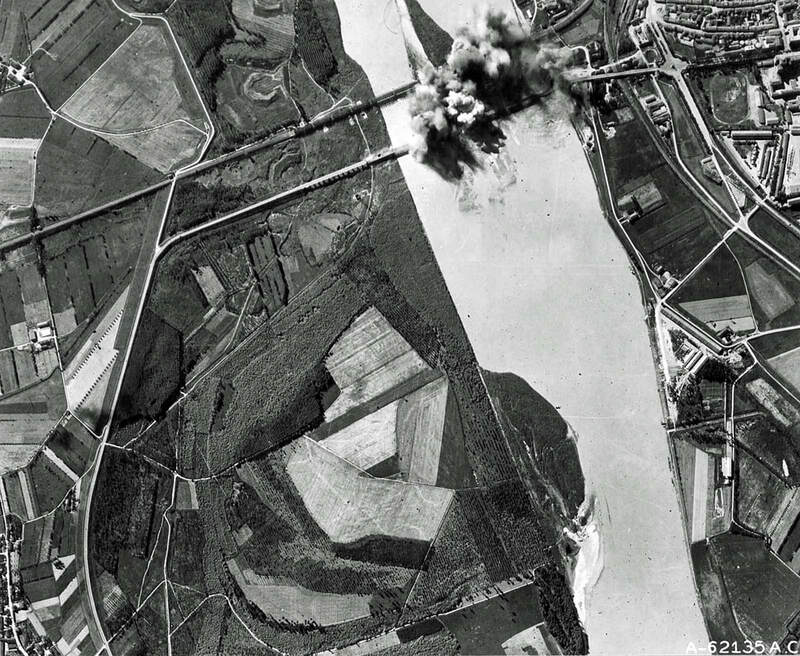 Almost immediately after this bombing, at 6:53 p.m., another wave of B-26 American aircrafts (319th Bombardment Group), led by Colonel J. R. Holzapple, dropped 143 bombs on the Cremona railways bridge, which was clear of smoke. (17) The target was hit and severely damaged, but not destroyed. (18) Consequently, Colonel Holzapple ordered a return the next day to make sure the objective was destroyed. (19) The 319th Bombardment Group’s policy was now to revisit a target repeteadly until when the objective was totally destroyed. 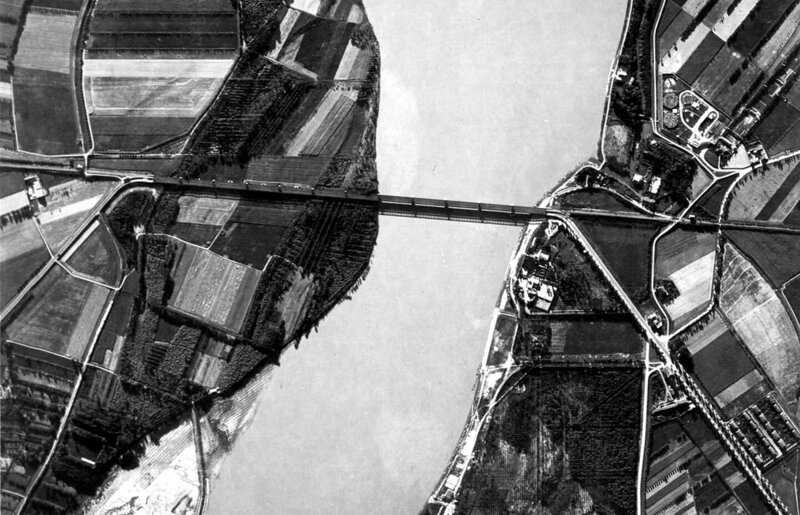 Still on that afternoon, the 340th Bombardment Group flew another attack over the Ferrara Railway Bridge, ‘a repeat of the morning’s mission’. (22) The American 12th Air Force considered Ferrara an important target, which was defended by the German Flak. 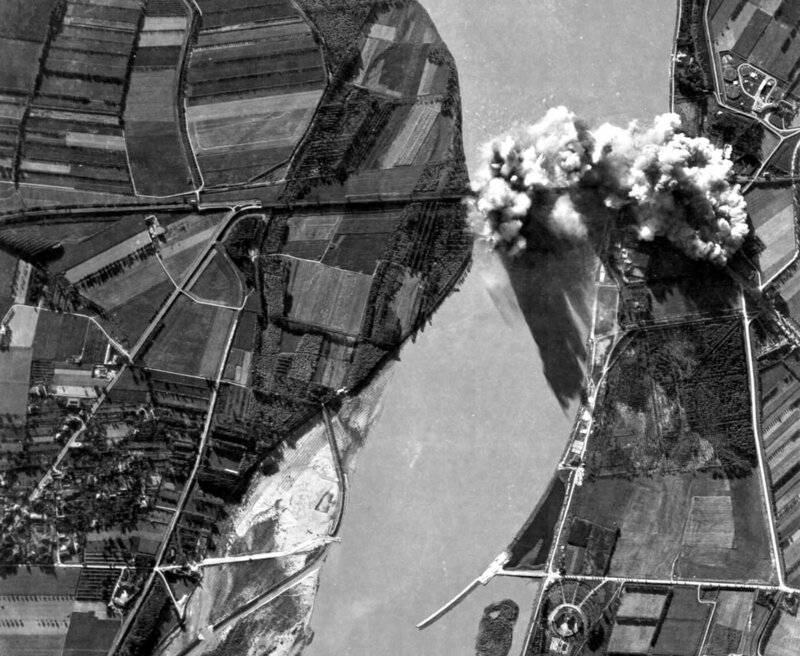 Meanwhile, the 15th Air Force B-24 heavy bombers attacked the port at Fiume/Rijeka, oil storage facilities at Trieste/Triest/Trst and Porto Marghera, and marshalling yards at four locations. At the same time, the 15th Air Force B-17 Flying Fortresses attacked a marshalling yard and railway bridges at three other locations. An ordinary day of bombings on the Po Valley.